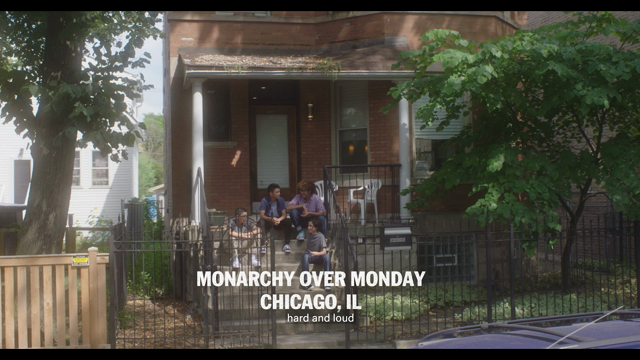 Tomorrow Never Knows has just kicked off in Chicago, but the annual music festival – now in its 12th year – hit a peak last night with the Lincoln Hall triple bill of Torres, Palehound, and Julien Baker. The fact that the show sold out surprised no one; all three artists are touring behind stunning, critically acclaimed albums that possess the emotional power necessary to draw fans out of their Chicago winter burrows. Speaking of winter, you’d be hard pressed to find a better album for the season than Julien Baker’s devastating debut, Sprained Ankle. 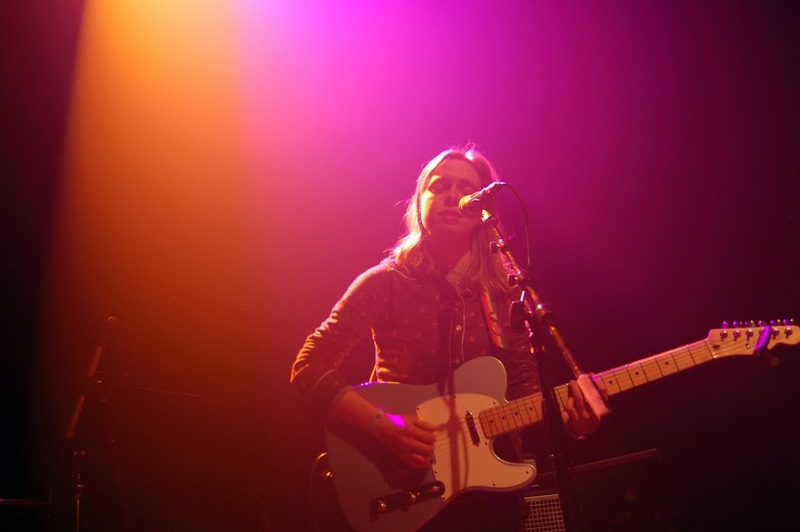 For her first ever show in Chicago, Baker performed six songs from the album, standing alone with her electric guitar and pedalboard. Only 19 years old, Baker is unassuming and self-deprecating: the enraptured audience was as quiet as “church mice,” she remarked, and prefaced her songs by joking, “They’re quiet – surprise! Sorry, it’s what I do.” What Baker does is write music that is beautifully and breathtakingly honest, perhaps none more so than “Rejoice”. A song about addiction and religion, it’s also the best showcase of Baker’s powerful voice. She belted its climax, wide-eyed, her gaze directed up to the rafters, the audience seated above, God. After Baker, Palehound were up next with a set of scuzzy, rousing guitar rock led by Ellen Kempner, who was noticeably less nervous than her last show in Chicago with Mitski. Although the crowd at Lincoln Hall was, according to Kempner, the biggest crowd they had played to thus far, perhaps the experience at Subterranean last year was more nerve-wracking for the proximity of the crowd. Nevertheless, the audience was close enough that Palehound could still spot someone online-shopping in the front row. 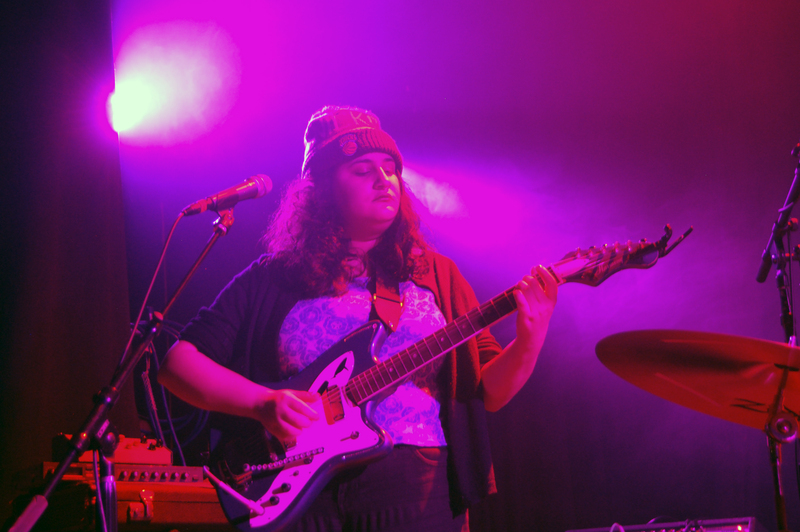 It’s wonder anyone would wilfully ignore Palehound, what with Kempner’s agile guitar chops on full display with “Molly” and “Easy”, backed up by a rhythm section so enthusiastic they looked like they’d rather be nowhere else in the world besides on that stage supporting Kempner. Eyes closed, she rocked back and forth on her heels, lips smushed up against the microphone. Her murmurs made the little, different moments all the more memorable, like her near-growls of frustration on “Cinnamon” and the tiny cough in “Dixie”. Kempner also played a Palehound rarity for the first time: an unnamed love song. Even though the song was indeed happier than most of Palehound’s music, its evocative lyrics – “I’m the one sleeping away sunrise/ I’m the one wasting days crawling on my hands and knees/ But the nights are alright with me/ Because I’m alright with you” – still carried overtones of melancholy. As I hear Palehound perform her love song, not too long before Torres comes onstage, I can’t help but think about the label “confessional.” The adjective, often used in music writing to pigeonhole women musicians who sing from their own experiences, became a topic of discussion last April when an op-ed in The Guardian criticized its loaded sexism and NPR critic Ann Powers explicated its implications in her review of Torres’ album, Sprinter. Both Torres and Baker have been saddled with the adjective and, to a lesser extent, Palehound. Nothing of Baker and Palehound I’ve seen at the show so far squares with the label. 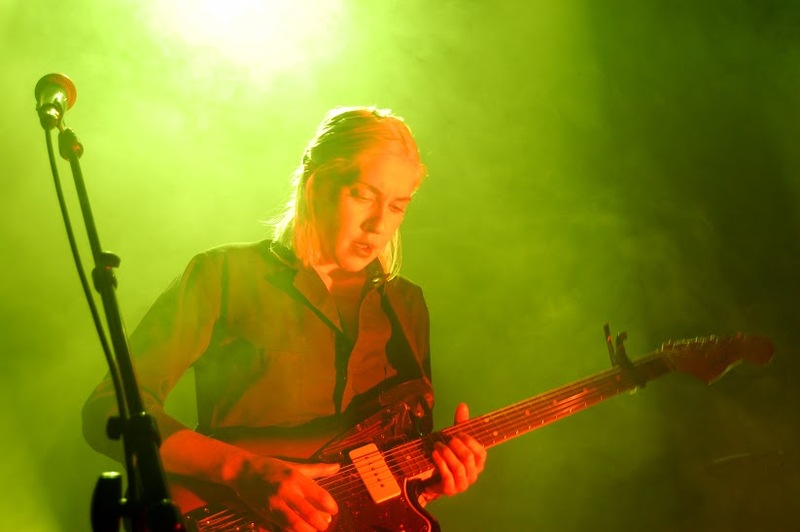 After seeing Baker deftly handle her effects pedals and Kempner’s fingers slide nimbly along her fret board, it’s difficult to think of them simply as women singing from their journals, paying out through-lines from themselves to their listeners. It’s easier to imagine a woman baring her soul to you when you access her music through your headphones, but when you see her perform live, you should realize she’s a professional and an artist. When Baker returned to the stage after her set to collect her gear, the man next to me said to her gratefully, with the best of intentions, “Thank you for being so courageous.” She thanked him, but didn’t look him in the eye. She said it with somewhat of a grimace. “Why do we consider a term that in any other context, be it legal or religious, is imbued with a sense of guilt and shame, to be specifically female?” asks The Guardian’s Alexandra Pollard. Torres’ set, performed with awe-inspiring drama and power, was a direct rejoinder to this implication of weakness the “confessional” label carries. Mackenzie Scott packed the setlist with hard-hitters, adjusted for heightened impact. Her guitar tone on the opener “Mother Earth, Father God” sounded distinctly harsher than on record, and the quirkiness of “Cowboy Guilt” melted into something like menace thanks to a slower tempo. Torres’ performance reached an apex with “Son, You Are No Island” and “Strange Hellos”. On the former, Scott stared straight into the darkness of the crowd, body rocking back and forth. She swayed with her guitar in a circular motion as she delivered a blistering indictment of “a little boy who tried to play God,” as she said in her introduction to the song. She possessed a captivating, almost trancelike energy, reminiscent of Wovenhand’s David Eugene Edwards. Scott channelled that vengeful energy right into “Strange Hellos”, her face trembling with effort as she dredged up pain, anger and panic with her expressive voice. The chorus of “Strange Hellos” is eerily apt when considering the “confessional” woman musician: “I was all for being real, but if I don’t believe then no one will / What’s mine isn’t really yours, but I hope you find what you’re looking for.” It’s a dismissal and a challenge, Scott’s resolution to focus on her own conviction instead of external perspectives. Her unflinching gaze and powerful performance at Tomorrow Never Knows made it clear Scott can breathe a little easier, because she’s succeeded in making believers of us all.